WHAT IS THE TANGO LEXICON? Originality and inventiveness have always been at the heart of Argentine Tango. But creativity thrives on clear constraints. Learning tango might seem sometimes like an endless expanse of new elements to master. Ochos, paradas, boleos, giros, sacadas, barridas, ganchos, colgadas, volcadas, piernazos, soltadas...how many more "things" are there to learn? You may feel you need to grasp the WHOLE picture before getting "creative." Fortunately, the whole picture is simple, elegant and easy to work with. Tango has a deep structure that is often unnoticed. This internal DNA of tango figures holds ALL possibilities of moving with four legs. Actually, a tiny number of basic elements - 24, to be precise - can create an infinity of danceable moments. The tango lexicon is a new system that gives an easy way to remember every possible distinct structural situation in tango - a name that both describes what it IS and what it can CONNECT to. It will help you remember and record tango combinations, talk about them and invent completely new things when you practice with it. Mitra and David explored tango together from 2007 to 2018, practicing regularly, taking workshops together, and exchanging about the structure and technique of tango. The Tango Lexicon is one creative outcome of five years' collaborative process. DO YOU WANT TO BREAK FREE FROM GROOVES, RUTS, HABITUAL PATTERNS? This system is for you if you want to unstuck yourself from memorized patterns and sequences. Once you understand the real elegance of the grammar underlying Tango, you'll experience a new way of dancing that challenges your habitual moves and is open to all the poetry this language of tango can compose. Are you ready to decrypt the DNA of Tango - the genetic code that gives rise to all the possibilities of 2 bodies and 4 legs? Prepare to exercise your analytical brain! In these 4 workshops you will learn the lexicon and structure of tango figures which will enable you to remember new combinations better and invent original ideas as you dance or practice. 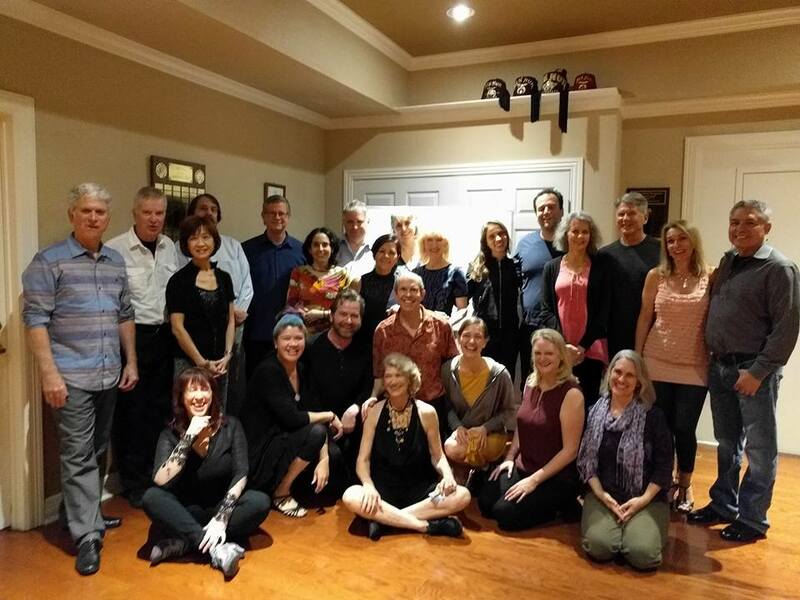 The Tango Lexicon Bootcamp is an adventure into tango creativity that will reboot your community's way of thinking about tango combinations, leading/following, and practicing! All we need is 20 eager dancers and 1 host and we're there! We can impart the whole Tango Lexicon in 4 90-minute workshops offered on Friday and Saturday, giving you plenty of material to practice for months or years! Here's a sample schedule for your community. Please contact Mitra if you would like to bring the Tango Lexicon Bootcamp to your community! mitra@oxygentango.com (310) 854-2466. The Tango Lexicon program is a perfect programming addition for a Tango Festival! Attract dancers who are interested in structure and creativity, to learn this exciting new way of exploring Tango. We offer up to 4 workshops on which can be tailored to your festival's needs and timeslots. We can quickly and easily provide sample titles and descriptions, bios, and a press kit to support your festival promotion.